I have never been a huge advocate of used games. I do like knowing after enjoying a game that I did my part by paying for the product fresh off the shelf. In whatever small way, my purchase (as well as many others) will give the developers a small pat on the back. Sure, usually most of the money goes straight to the publisher, but it is also the publisher that green-lights sequels. I can’t say buying used games has that same effect. Buying a used game is kind of like grabbing an opened box of cereal from the store. It may be marked cheaper, but you have no idea what went on inside that box. Also, the bonus toy might be gone. Still, a deal is a deal. Unlike cereal, buying new games all the time may get me broke. Especially at the rate I whip through them… or not finish them at all if I don’t like them. Why can’t I jump on a deal of a game I might not like? 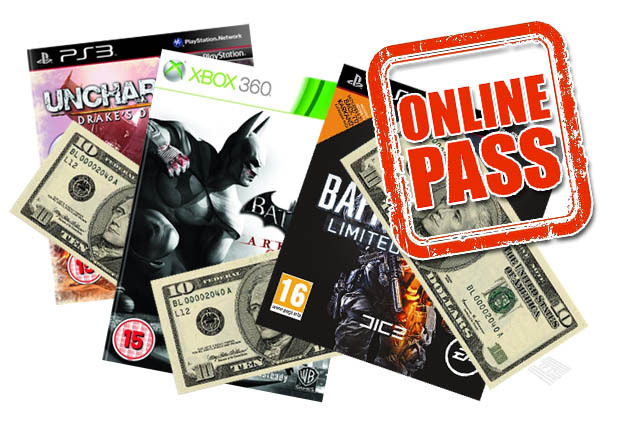 The whole online pass thing has helped to combat used games, but still developers won’t let the issue rest. Not to mention almost every game publisher. What makes the game industry so special to restrict used sales? Did libraries hurt book sales? Did rentals kill the DVD market? Actually, the DVD market killed rentals! I still remember back when I saw Wild Arms 3 sitting in the used bin. I heard it was good, but the $9 the game was marked as was hard to ignore. I did what I rarely do in those situations and made an impulse purchase. A few years later, I bought Wild Arms 5 – brand new. That used game introduced me to the franchise and I still plan on getting the original Wild Arrns on PSN eventually. The last game I bought was actually used. I bought it from a friend. Even if the game industry some how manages to ban used sales in retail chains like Gamestop, nothing will stop ebay or worse, piracy. Online passes and bonus DLC are more so used to milk the consumer of more money than to combat used games. It is things like this that will help justify piracy. I know I come off as a big defender of used games here, but I firmly support the sale of new games. I don’t approve of some of Gamestop’s shady ways of selling used games. However, I do think bickering about used sales’ impact on the industry is misguided. Piracy of course should not be the path broke gamers are forced down. Most of my purchases are brandnew. I do afterall like my scratchless DVDs and that new game smell! + Another blog means another chance for me to whine about the lack of games this fall. Sure I'm buying Halo 4, but that franchise I can more or less expect a new game every fall! I'm starting to think that spring has already become the cash-cow season. + Finished Ratchet and Clank: Tools of Destruction and I can already say I have had my fill of the series. + Um, a lot of PSP games have some really nice alternate covers. Why did I only notice this now?